LACC trial is a multicentre randomized controlled noninferiority trial. It evaluated the oncological outcomes after minimally invasive surgery and open abdominal radical hysterectomy among women with early-stage cervical cancer. The results showed lower disease-free survival (DFS) and overall survival (OS) in the minimally invasive surgery (MIS) arm. 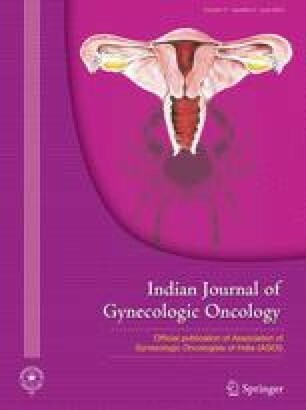 The results of the LACC trial were surprising and contrary to the outcomes in various other retrospective studies which compared outcomes in MIS and open arms for carcinoma cervix. We write this review article to rebut the LACC trial and point out few shortcomings of the trial. These may explain the outcomes. The surgeon proficiency criteria for MIS RH in the trial are inadequate. Surgeons were required to submit two unedited operative videos of MIS radical hysterectomy and outcomes of at least ten cases. The routine use of a uterine manipulator causes tumour fragmentation and is against the norms of oncosurgery. Missing histopathological data in almost a third of cases and inadequate follow-up data add to the lacunae. We think the inferior oncological outcomes in MIS arm are not due to MIS per se but due to these factors. Great caution is required in interpreting the results of the LACC trial. The authors of LACC trial mention that the results cannot be generalized to low-risk patients who still can undergo laparoscopic surgery. We recommend further trials to address the issue of safety of minimal access surgery in the treatment of early-stage carcinoma cervix. MIS radical hysterectomy can still be considered an oncologically safe treatment option in trained hands.